WBC heavyweight champion Deontay Wilder is backing David Haye to even the score when he takes on Tony Bellew in a rematch on December 17th at the O2 Arena in London. The pair collided back in March, with Bellew pulling off a major upset with an eleventh round stoppage of Haye. Bellew had dropped the WBC cruiserweight title in order to meet Haye in the heavyweight division. Haye was controlling that contest until he suffered a serious Achilles injury and then became a one-legged fighter who was unable to avoid the incoming punches of Bellew. As long as Haye doesn't suffer any injuries in the fight, Wilder believes the London fighter will come away with the victory. "I think David would've won the first one if he didn't injure his Achilles because he was a handful, but then could hardly walk. Hopefully he doesn't have any injuries in this one because I had him winning in the first one and he can win the second one. David is always injury prone though, which is not good. 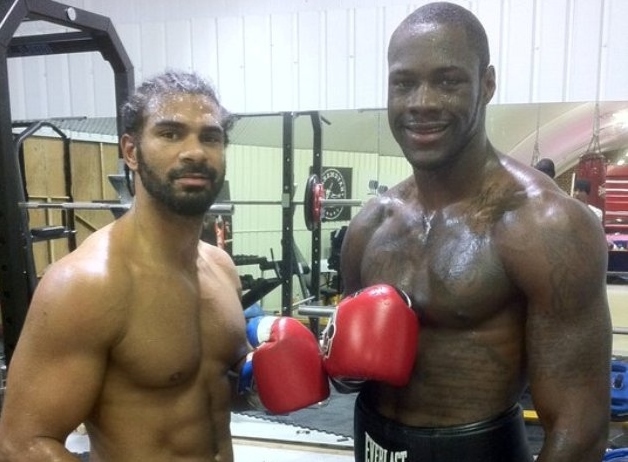 I went through my own phase but always managed to fight through them and still do well," Wilder told Sky Sports. Wilder was not overly impressed by Bellew's performance in the first fight. He says Bellew should return back to the cruiserweight division, because he would find himself in a bad position if matched against a real heavyweight. Haye, like Bellew, moved up from the cruiserweight division and many still consider him to be a blow up cruiser. "Bellew was OK, but nothing special [against Haye]," Wilder said. "He should stay at cruiserweight. At the end of the day they are both cruiserweights. I would love to see Bellew going in against a true heavyweight though, because it's different. A different world to what he's used to." [QUOTE=T.M.T;18103036]Wilder is the boss in the heavy weight division[/QUOTE] Nope. Not a big draw or cash cow. Not even boxing ability wise.